Just a short one readers. Friday we were in Leicester. I got off the train raring to go. I actually had a little time to spare so went to go and see Leicester Cathedral and the planned Richard III monument. It’s a cause close to my heart so if you fancied signing the e-petition to make sure that his body remains in Leicester rather than being moved to York then I’d appreciate it. Exactly why it’s so important to me is a subject for another blog (in fact I think I will write a post on my own site about it) so for now just visit and watch my own space theatremad.wordpress for updates. So enough about dead kings. To the show. Well today was an interesting one. About one-third of the audience was young – members of a youth group run by Leicester LGBT Centre. The overall audience was also probably the least theatrical so far too. Several people found some of the theatrical conventions confusing and were happy to tell us so. Indeed, our use of audio was discussed dividing the group’s opinion; several younger members felt starved of visual stimuli during this; others found the images created through voice very potent. It’s also worth bearing in mind that this stage was deliberately bare bones, to bring characters off the page and present to people. James, the wonderfully helpful technician at Curve added some lights for us, though, I’m not sure what this added to what we’d created. It brought an added formality – a ‘professional’ hue, perhaps taking a little away from the informal context we set out with and raising or mis-aligning expectations. So a good show, a brilliantly mixed audience in a hot room under the lights, and a youthful perspective on feedback. An older man did talk about the importance of such events taking place in Leicester, which was seconded by younger local voices in the room. Leicester turned out, good. I did warn you this would be short. Fear not, Newcastle blog post to come, which will be heartfelt as it’s the last. Also, while I remember, I met one of the readers today – a truly lovely lady whom I hope is reading now. It was lovely to meet her and nice to know I actually have readers. So until the next time – stay fabulous! 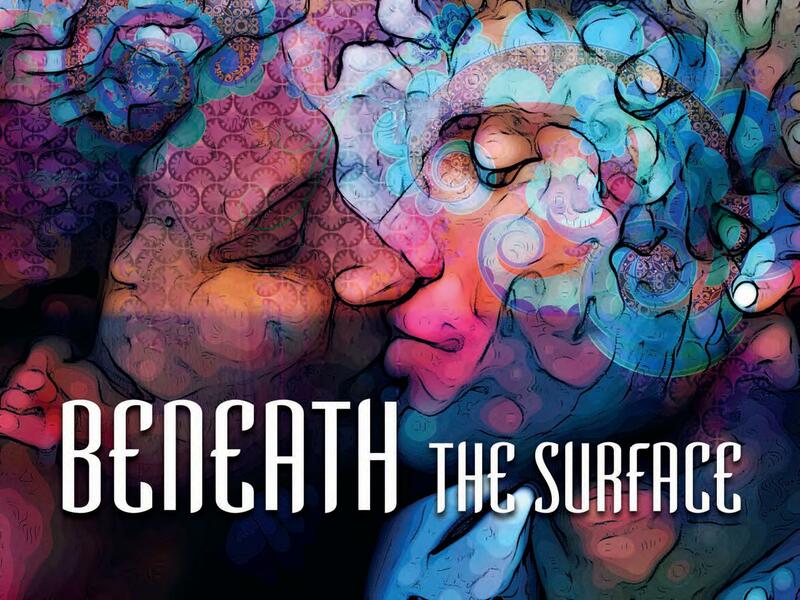 See feature by Gay Star News writer Liam Johnson on Beneath the Surface. This activity is supported by Arts Council England. GEM Arts has co-commissioned the script development. It wouldn’t have been possible without the support of many arts and LGBT sector partners in each city area.